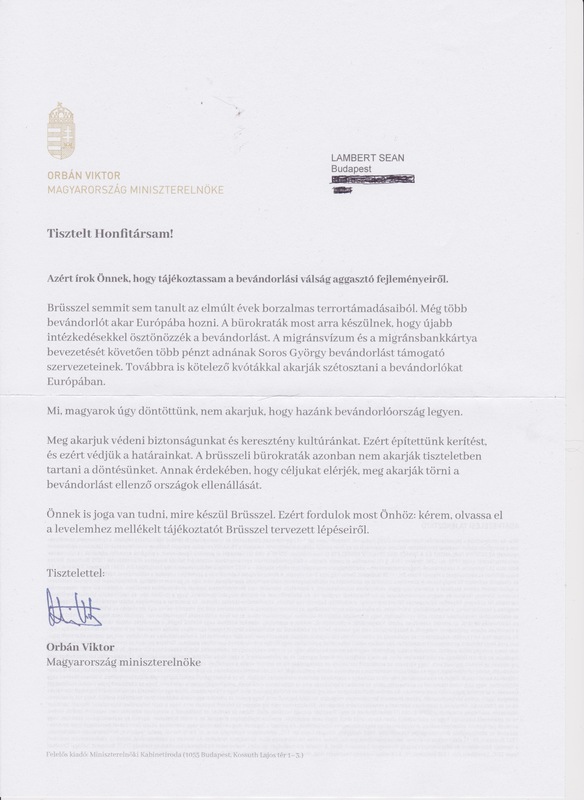 On February 15, 2019, Spokesman István Hollik announced that the Orbán government would launch an “information action regarding the plans in Brussels to encourage immigration because we think that all Hungarian people have the right to know about those proposals that fundamentally threaten Hungary’s security” (sources A and B in Hungarian). 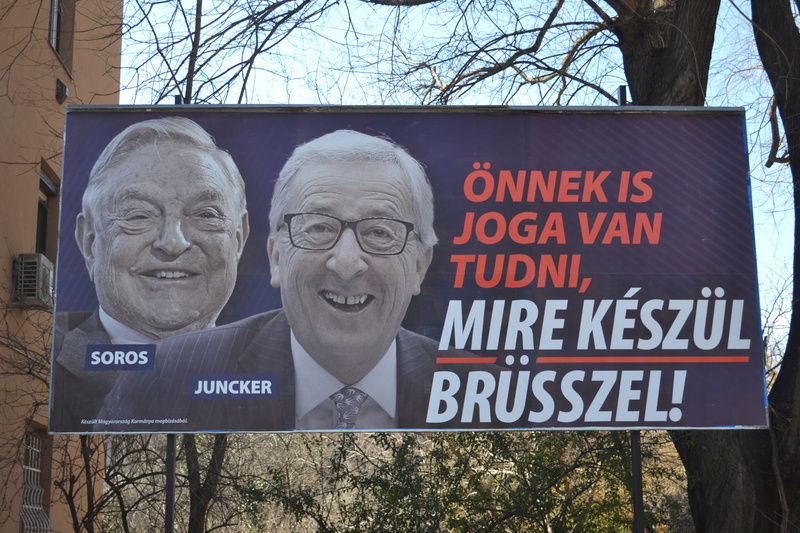 A few days later, signs showing unflattering images of Hungarian-American financier György/George Soros and European Commission (EC) President Jean-Claude Juncker alongside the text “You Also Have the Right to Know What Brussels Is Preparing to Do!” (Önnek is joga van tudni, mire készül Brüsszel!) appeared in large number on the streets of Budapest. I am writing in order to inform You about the alarming developments in the immigration crisis. Brussels has learned nothing from the dreadful terrorist attacks of the past years. It wants to bring even more immigrants to Europe. The bureaucrats are now preparing to stimulate immigration with new measures. Following the introduction of the migrant visa and the migrant bank card, they would give more money to György Soros’s immigration-supporting organizations. They continue to want to distribute immigrants in Europe through obligatory quotas. We Hungarians decided that we do not want our homeland to became a country of immigration. We want to protect our security and our Christian culture. This is why we built a fence and this is why we are defending our borders. 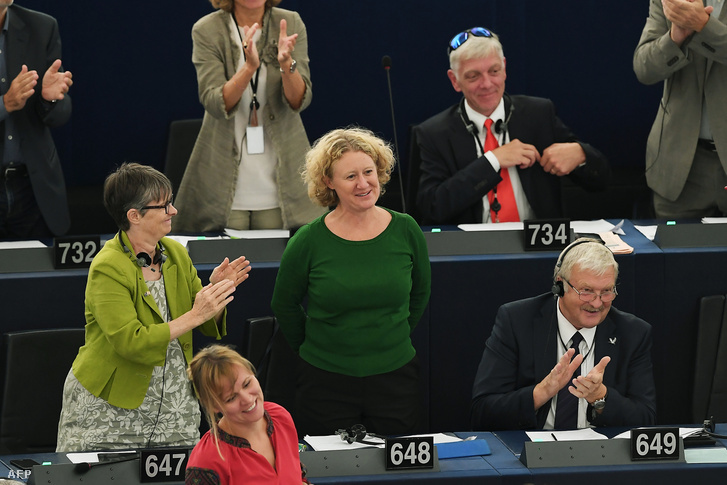 However, the Brussels bureaucrats do not want to respect our decision. They want to break the resistance of the countries opposing immigration in the interest of reaching their objectives. You also have the right to know what Brussels is preparing to do. This is why I am turning to you now: please read the enclosed information regarding Brussels’s planned steps. 1. They want to introduce the mandatory resettlement quota. 2. They want to weaken the border-protection rights of member states. 3. They would facilitate immigration with a migrant visa. 4. They want to give even more money to organizations supporting migration. 5. They would also assist migration with a bank card with accessible funds. 6. They would launch experimental immigration projects with countries in Africa. 7. They want to reduce financial support for countries that oppose immigration. 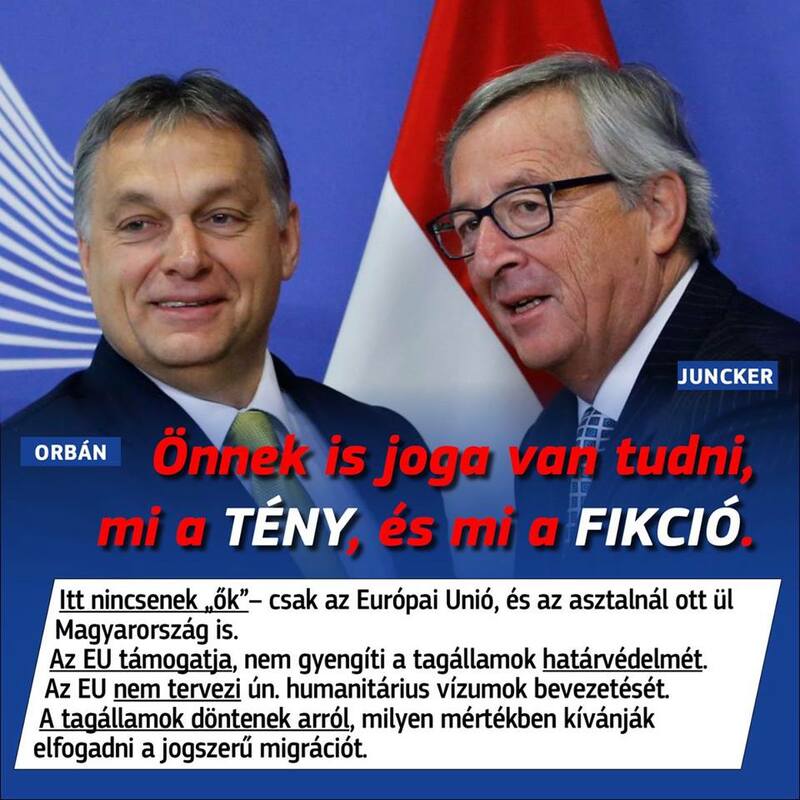 On February 25, the EC published a Hungarian-language communiqué entitled “Facts regarding European Union Migration Policy” (Tények az uniós migrációs politikáról) refuting each of the Orbán government’s claims in detail (source in Hungarian). 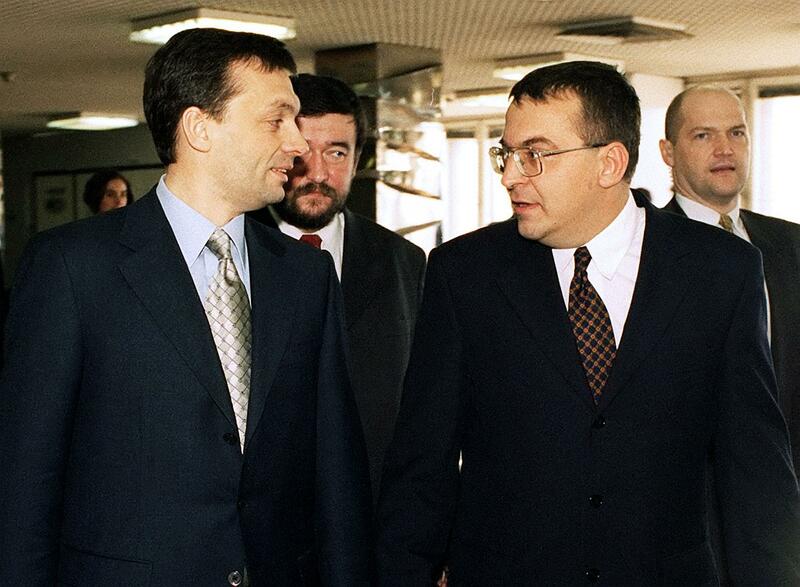 and Croatian Democratic Union President and Prime Minister of Croatia Andrej Plenković (source in English). As of March 1, nine parties¹ affiliated with the European People’s Party from seven different states indicated that they were prepared to initiate the expulsion of Fidesz and the Christian Democratic People’s Party from the EPP, thus surpassing the minimum of seven parties from five different states required to force a member party to leave the European Parliament political group (source A in Hungarian and B in English). 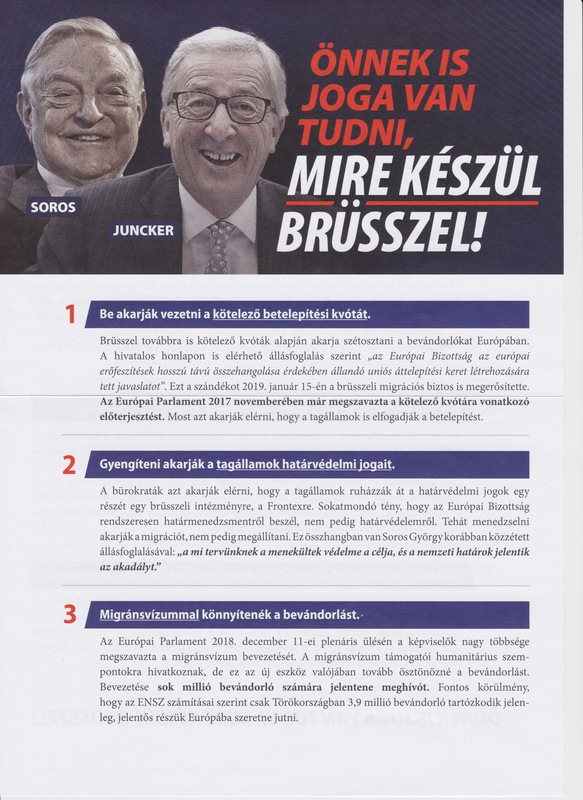 On March 4, European People’s Party President Joseph Daul announced that EPP officials would consider the initiative to expel Fidesz-KDNP in response to the the Orbán government’s current anti–European Union propaganda campaign at the party’s political assembly in Brussels on March 20 (source in English). Daul remarked during an interview published in the German newspaper Die Welt on March 5 that Prime Minister Orbán “had crossed the red line” with his government’s current anti-EU campaign (source in German). European People’s Party Group Leader Manfred Weber stated during an interview published in the German tabloid Bild on March 5 that Prime Minister Orbán would have to satisfy the following three conditions in order to prevent the expulsion of Fidesz-KDNP from the EPP: immediately and permanently halt his government’s anti–European Union propaganda campaigns; apologize for these campaigns to Fidesz-KDNP’s fellow EPP member parties; and guarantee the continued existence of the Central European University in Budapest (source in English). ¹ The Moderate Party and the Christian Democrats of Sweden; the National Coalition Party of Finland; Christian Democratic Appeal of the Netherlands; the Christian Social People’s Party of Luxembourg; the Humanist Democratic Centre and the Christian Democratic and Flemish of Belgium; the Democratic and Social Centre-People’s Party of Portugal; and New Democracy of Greece. Orbán: [. . .] in the political scientific literature they are characterized, following Lenin, as useful idiots. While they believe they are fighting an intellectual battle, they serve the power interests of others, of our opponents. Welt am Sonntag: Critical Christian democrats are useful idiots? In the next phase our party campaign will begin and then you will find someone else on the posters: Mr. Timmermans. We will send Mr. Juncker into retirement and Mr. Timmermans will replace him on our posters. We are a nation that possesses over 1,000 years of statehood and which cannot be played around with just like that. This visibly moves them [members of the European Commission] out of their comfort zone and they don’t understand how it can be that a [country such as] Hungary dares to say what the European Commission is preparing to do. 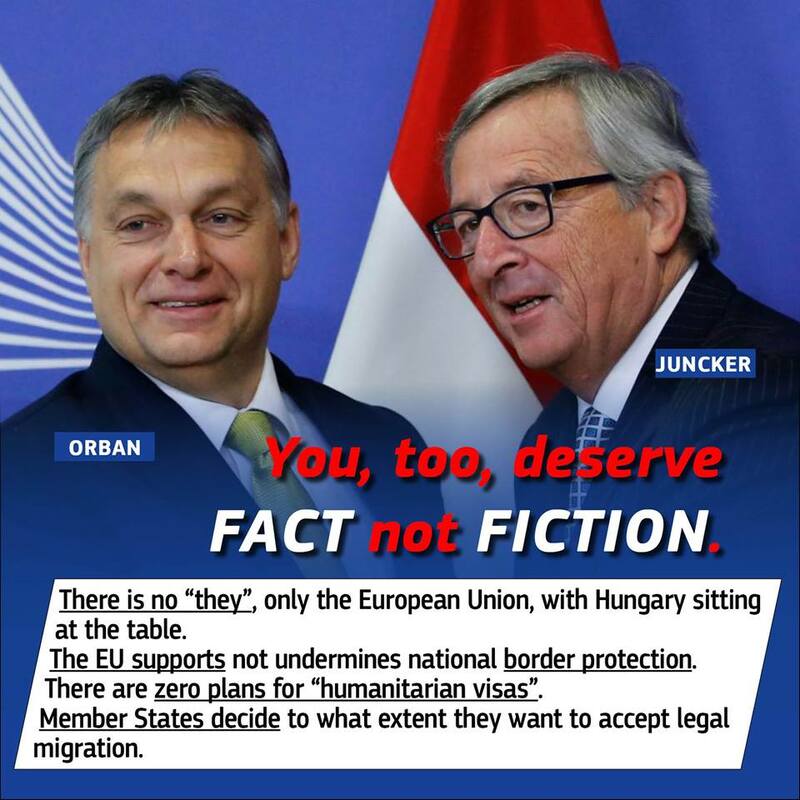 And in Hungary they dare to say that György Soros arranged the notation for the migration policy that the European Commission is implementing. ² The term useful idiot is commonly attributed to Vladimir Lenin and refers to somebody who unwittingly promotes the interests of a political force with which they are not affiliated. KESMA owner and technical director Gábor Liszkay (photo: hvg.hu). The Central European Press and Media Foundation (Közép-Európai Sajtó és Média Alapítvány, or KESMA) was founded on September 11, 2018, to serve as a non-profit organization under which pro–Orbán-government private media in Hungary could be consolidated. Orbán-government oligarchs, officials and their family members as well as pro–Orbán- government journalists and entrepreneurs have since transferred ownership of 476 media outlets to KESMA without financial compensation (source in English). 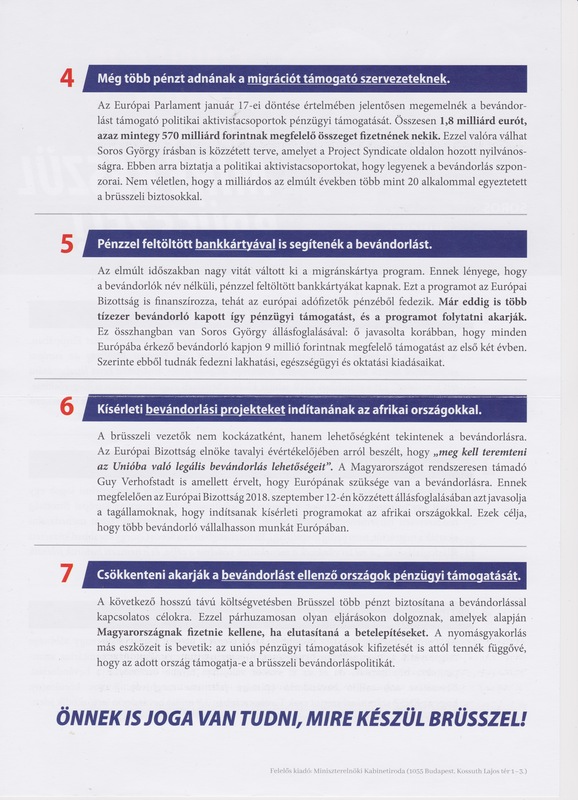 The official aim of the KESMA is “to promote those activities of the print, radio, TV and online sections of the Hungarian mass media which serve to build values and strengthen Hungarian national consciousness” (source in English). 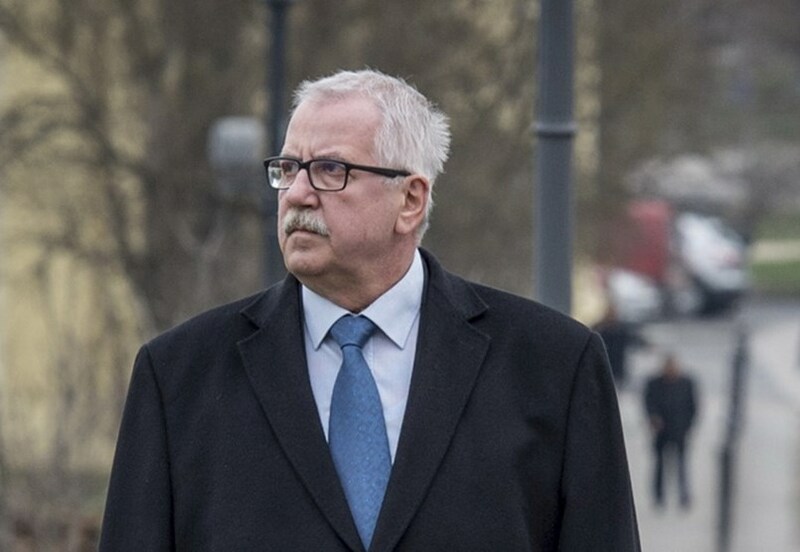 and advisory board member István Bajkai, the Orbán family lawyer who was a founding member of Fidesz and has served as one of the party’s National Assembly representatives since 2018. The Lake Balaton summer home of Central European Press and Media Foundation owner and technical director Gábor Liszkay serves as the registered headquarters of KESMA (source in Hungarian). and the internet portals origo.hu, mandiner.hu and 888.hu. and the internet portal pestisracok.hu. In December 2018, the Orbán government issued a decree declaring the consolidation of the 476 media outlets into the Central European Press and Media Foundation to be of “national strategic importance” (nemzetstratégiai jelentőségű), thus exempting their concentration under KESMA ownership from media-competition regulations enforced through the Hungarian Competition Authority (GVH) and the Media Council (source in Hungarian). On April 21, 2018, the Facebook group Mi vagyunk a többség (We Are the Majority) held an opposition demonstration in Budapest. The demonstration drew tens of thousands of participants, though was somewhat smaller than the demonstration the group held in the city one week earlier. Participants from across the political spectrum attended the demonstration—a new phenomenon in Hungary, where the opposition to the Orbán government has been fragmented into nationalist, socialist, liberal and green factions that do not cooperate with one another. 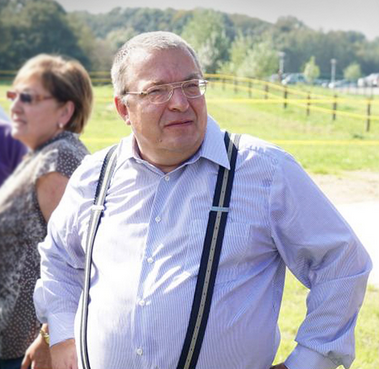 The main speaker: Mayor Péter Márki-Zay of Hódmezővásárhely, a city in southern Hungary that was considered an unassailable Fidesz bastion until he won a mayoral by-election there in February 2018 as an opposition independent. The main implicit message of the demonstration: opposition must be extended from Budapest to the “countryside” (vidék) in order to have any chance of defeating the Fidesz-Christian Democratic People’s Party governing alliance. The most poignant symbolic occurrence: the “Ode to Joy”–based anthem of the European Union played at the end of the demonstration—following the national anthem of Hungary. Democratic Coalition President Ferenc Gyurcsány. Demonstrators on Lajos Kossuth Avenue.